At Palm Beach Investors Realty we specialize in buying and selling our homes at the price, and on the timeline, that works for both of us. Our extensive knowledge of real estate investing and large network of real estate investors nationwide allows us to offer more buying choices and a wide variety of selling options for all types of home buyers and sellers, including financially distressed homeowners. Meet Our Team Of Real Estate Professionals Below!!! We specialize in Probates and Investment Properties, we buy and sell more South Florida Probate Properties than any other West Palm Beach Brokerage Firm. We are a group of Investors that saw a need for a Real Estate Brokerage Firm for Real Estate Investors, We have been Investing In South Florida Real Estate Full Time since 2005. If you are looking to Buy or Sell an Investment Property or looking to settle a probate or sell an unwanted house, we should be your 1st call. Jeff Green started out at a fortune 500 company for 18 years working through the ranks into management, starting his real estate investing career in 2001 using the skills he learned. Jeff hit the ground running with investors that believe in him and mastered the renovation game. He was able to hone his skills for larger profits, through good times and bad. Jeff would travel to investor clubs all over Florida and after some time and experience , he opened his own Investor Club naming it the Palm Beach Real Estate Investors Association. 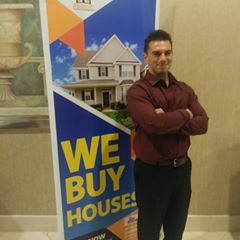 He strives to create an environment where everyone regardless of competition can meet and make connections with other investors where the best minds in real estate meet. He also is the Co-Owner of PalmBeachers Realty, Palm Beach REIA, & Sunshine State Title. Jeff has Wholesaled & Rehabbed 100+ Houses and continues to Invest Full Time. 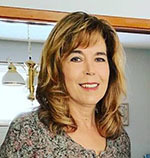 Lissa McCoy is a Realtor with Palm Beach Investors Realty. 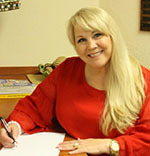 She specializes in Real Estate Investment Properties mainly Single Family Home Rehabs & Rentals. John finished college at the University of Nebraska, afterwards he worked as a Police Officer and Sheriff’s Deputy in the Philadelphia area where he was raised and went to High School. In 2006 John moved to South Florida and met Jeff Green where they both invested in numerous real estate projects together and would travel and visit local real estate investment clubs monthly. In 2011 John opened a Marketing & Advertising Firm back in Philadelphia. John Invested in his hometown but always saw more of an active market in South Florida. 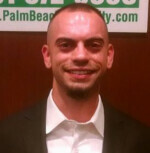 John’s main business is Wholesaling and finding properties to Rehab in South Florida. 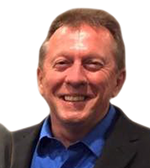 John also is the Co-Founder of National REIC, Sunshine State Title, and Palm Beach Investors Realty. John has Wholesaled & Rehabbed around 50+ Houses and continues to Invest Full Time. John continues to reside in Philadelphia Area but flies down to Palm Beach, Florida on a monthly basis to check the status of their deals, Attend Business meetings, and attend the PBREIA. 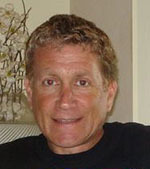 Judd has been in the field of Real Estate since 1989. Initially, he worked as a Sales Associate for a local prominent real estate appraisal firm and U.S. Department of HUD Property Management firm where he was an inspector for the tri-county list of HUD homes. He was 18 years old and determined that it would be a great time to obtain his Real Estate Sales license to coincide with his role as Inspector. It was at this time he decided that he needed to serve his country. He did so in the capacity of Special Security Forces. After his term was completed he moved back to Palm Beach County and joined local Law Enforcement. He still had a passion for Real Estate so he continued with Real Estate and started to buy and sell (flip) properties. He became very knowledgeable in the mortgage industry and felt that it would be best served as having the ability to help clients on both sides of the transaction. Today, Judd continues to locate and acquire investment properties for clients and himself.<br /> Judd offers creative, personally tailored mortgages. Judd was established around the concept of “value-driven” client relationships. Judd is aware that his success depends on you, and his business model is as simple as that.<br /> Judd believes that his client’s liabilities need to be managed in the context of their individualized capital liquidity needs, in addition to their long-and-short term financial goals. Judd offers his clients the best possible rates and unparalleled service in the business. He maintains utmost integrity in all transactions and makes no compromise in representing his client’s best interests at all times.<br /> Judd is not only a Mortgage Loan Originator, but has been in Law Enforcement since 1992. Judd felt the need to be able to not only connect with people that he encounters throughput his day but have a deeper understanding of their needs. 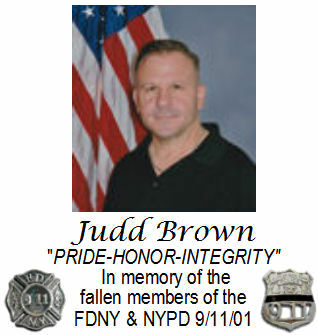 For this reason, Judd graduated with his Masters in Clinical Psychotherapy/Social Work. Having the tenacity to complete a degree such as this one takes discipline and effective time management. This shows in the dealings Judd has with his clients.<br /> Former State of Florida Mortgage Broker Instructor<br /> Knowledge, experience, and his constant commitment to meet and exceed the clients’ expectations have allowed unmatched growth and performance in our industry. Judd was a former Professor for Gold Coast School of Real Estate, the largest Real Estate school in Florida where he taught the 24-hour State required Mortgage Broker class at their Palm Beach, Boca Raton, & Tamarac campuses. Judd also taught the Mortgage Broker exam cram class, Foreclosure class, and Now That I Have My Mortgage Broker License, What Do I Do With It class?<br /> All that expertise is not, however, what makes Judd different from all of the other mortgage companies out there. Judd is what makes PS Mortgage Lending different. His approach to anything he does is to exceed all apparent possible expectations. Every customer is treated with this in mind: “How would I like to see this loan handled if it were my own transaction?” The answer to this question defines the caliber of service he and his staff delivers. No matter how large or how small your transaction, you can count on Judd to provide you with the type of service Judd would demand if it were his own. To this end, Judd will provide direct answers to your specific requests, as well as insights Judd may gain during the analysis process. No question is left unanswered. Bottom line; Judd will evaluate your loan situation, review your loan options, and help you understand the entire process from pre-qualifying to closing. You will never be left alone.<br /> Certified Reverse Mortgage Professional “CRMP” Designation:<br /> Being one of only 160 or so people nationwide to have achieved this milestone of obtaining a Certified “CRMP” Designation from the Reverse Mortgage Professional Association is a testament to his commitment to reverse mortgages. The process involved to receive this professional designation was long and arduous and adds to the level of expertise maintained by both the firm and himself. Rob started his career as an apprentice in his father’s business managing multiple renovation projects from start to completion. As Director of Operations, Rob oversees each and every project to exact specifications and is responsible for the acquisition, labor, materials, risk management, and financial reporting for the Palm Beach Investors Association. Steven Lundy is a Real Estate Investor as well as a Real Estate Agent. 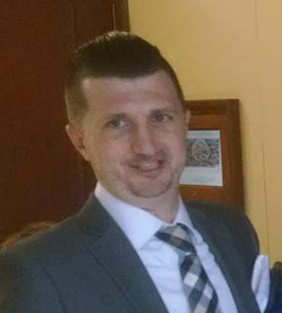 If you are looking for an Investment Property Steven Lundy is your go to person. Austin started his career as an apprentice in his father’s business managing multiple renovation projects from start to completion. As Director of Renovations, Austin oversees each and every Rehab to exact specifications and is responsible for the labor, materials, risk management. Nancy has been a long time friend to the Palm Beach REIA and is also a Real Estate Investor. Nancy is always helping out out our Real Estate Investment Club Meetings. Join Our Team Of Agents & Investors, Learn The Investor Side Of The Business. We Look Forward To Working With You. Simply Click On The Link For Our Hiring Packet & Forms or Contact Us.